Clarence Easter Jr.’s new book “My Voice” is a creative and honest compilation of poems depicting the author’s life. Recent release “My Voice” from Page Publishing author Clarence Easter Jr. is both telling and emotional; this work of poetry explores the ideas of personal identity and finding oneself. Readers journey along through the emotions and philosophies of the author as he transfixes them with his melodic words. Clarence Easter Jr, a political enthusiast, government representative, social activist, devoted writer and author, has completed his new book “My Voice”: an in-depth and telling work that delves into the inner-most feelings of the author. This work narrates the author’s thoughts on life, love, family and forgiveness. Published by New York City-based Page Publishing, Clarence Easter Jr.’s passionate work portrays the beauty of words. 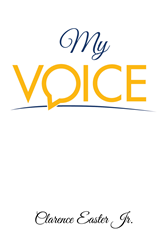 Readers who wish to experience this insightful work can purchase“My Voice” at bookstores everywhere, or online at the Apple iTunes store, Amazon, Google Play or Barnes and Noble.